Going vegan (except for the meat–don’t ask, I’m weird like this) AND gluten-free is hard. There’s all sorts of tricks and things to keep yourself from going insane with the cravings, but it’s still difficult. Don’t worry–I’ll write you a post for that, soon so you know my fave tricks and your trip can be a little less stressful than mine. But, one of the biggest problems I still struggle with: breakfast. It feels like there’s just nothing (NOTHING) that you can do to make a breakfast easily (even going out is a struggle). 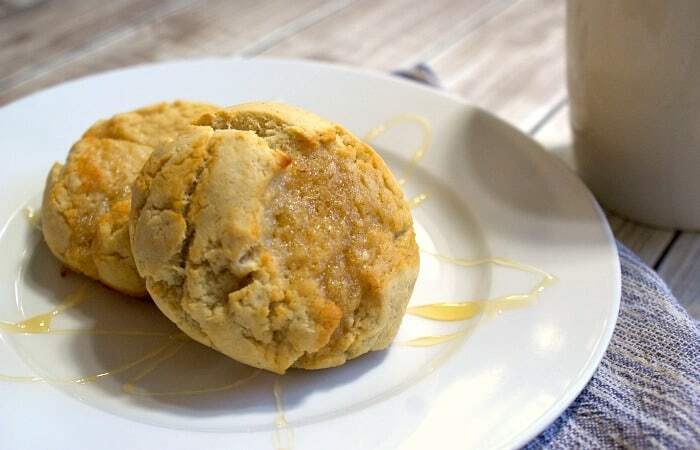 Well, not anymore…I’m engineering this problem from the ground up and I started with this recipe for Gluten-Free Vegan Honey Biscuits. Get your yummy-noises ready. Modified from my Vegan Drop Biscuits recipe, these biscuits really turned-out better than I imagined. I mean, sweet, easy and fluffy. Exactly how every biscuit should be. Now, most of my breakfasts will be soooo much more pleasant. Now I have to work on my going-out eating vegan-ish and gluten-free. I mean, ordering 2 sets of hash browns…but only getting one…UGH! It’s a nightmare. And I feel like such a jerk, but really, it’s not like I’m ordering caviare here…just 2 sets of hash browns…Never mind. I’m done being upset about this. 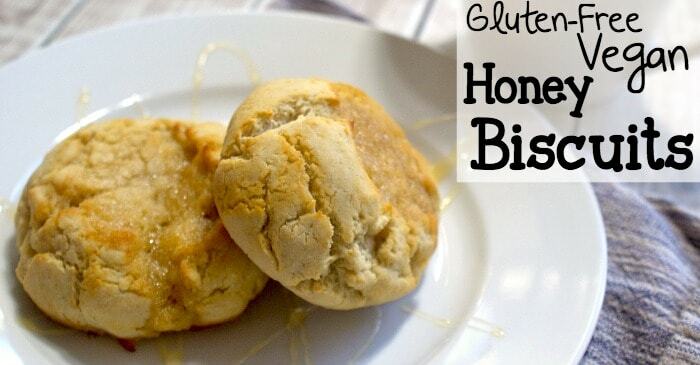 On with the awesome Gluten-Free Vegan Honey Biscuits that brought you here. 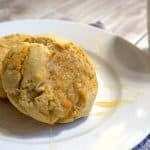 I'm engineering my breakfast problem from the ground up and I started with this recipe for Gluten-Free Vegan Honey Biscuits. Get your yummy-noises ready. Mix all dry ingredients in a medium-sized bowl. Combine wet ingredients in a second bowl, except for the honey. Add wet ingredients to dry in 1/3 increments and stir until thoroughly combined. Now, you can place the dough on a floured surface and roll it out, then cut some biscuits if you want, but I prefer to just put some oil on my hands, then yank-out some dough and drop it on the pan. My mom does this exact dropping-step, but then she rolls the ball of dough in the oiled pan to smooth the surface. This gets rid of all the whickerbills (the extra-crispy-cooked knobs and pokey-bits that get a little browner than the rest when cooked), but I kinda like them, so…we just agree to disagree on this point. Heh. Using your thumb or a spoon (I'm a thumb girl myself), make a shallow depression in the center of each biscuit. Place biscuits in the oven for approximately 10-12 minutes or until golden. 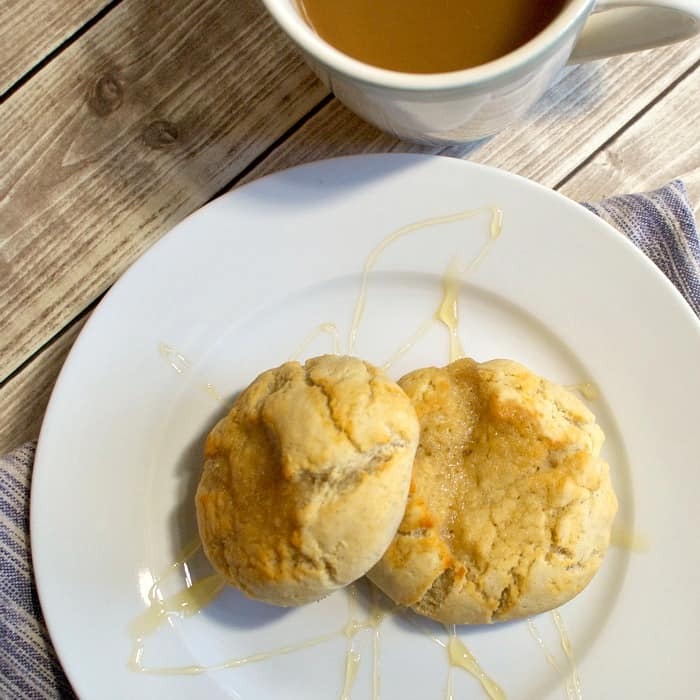 So, what do you think about the Gluten-Free Vegan Honey Biscuits? Something you’re going to try? Let me know what you think after you’ve had that first bite!